At Purlescence Yarns we're head over heels for weaving. From rigid heddle looms like Jasmin's favorite Schacht Cricket to table and floor looms for weaving beautiful textures, Purlescence Yarns is your resource for the best in weaving equipment and supplies. Call today to order your loom! Discover jacket mastery: see how easy it is to get the fit, confirm it as you knit, and know that every jacket will fit on Opening Day with Jean Frost. Take classes from the most talented designers in the Knitting Universe. Shop-till-you-drop in the largest fiber market in the Midwest. See the hottest new knit designs at the Fashion Show or take to the runway yourself -- showing off your knits during the Student Banquet. If you love knitting, YOU CAN'T MISS THIS! Go to KnittingUniverse.com/Events for all the details. If it has to do with knitting, you will find it here. STITCHES Midwest is open to the general public August 25th-28th. For more information please join us online at http://KnittingUniverse.com/Events/ or call 1-800-237-7099. Gigi celebrates Sewing Machine Day, and does so by mending. Jasmin has been slowly making progress on Hugo the Couch Potato Monster. Jasmin is making slow progress on the Unloved Andrew socks. Jasmin mentions that Rosemary Hill will be doing another subscriber-based eBook. We mention the Brandywine Shawl. We will be going on hiatus, starting after our 6/27 episode and we'll be back on 9/5. - June 24-26: Black Sheep Gathering. We're staying at the Courtesy Inn in Eugene, OR. - A drop spindle kit from Schacht Spindle Co. This week, we answer a question from the "What do you want to hear about?" 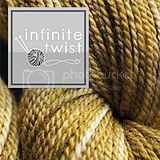 thread about how to select classes to take at a knitting event. Gigi solos this segment, with her recalcitrant Daybreak. Gigi can't see the lace on her Taygete. Gigi's Katje is too small and gets ripped back to the yoke. This week, we review Vintage Modern Knits by Courtney Kelley and Kate Gagnon Osborn. It is a book full of lovely, classic garments, and a good range of different techniques. Give it a flip through, we declare it "not exciting, but not terrible". Week 4: Check your equipment. Bobbins, driveband, oil, and a timer. Jasmin is finishing some Crown Mountain Superwash merino in "Cold As Ice" to be a 3-ply sock yarn. Jasmin answers a question from the "What do you want to hear about?" 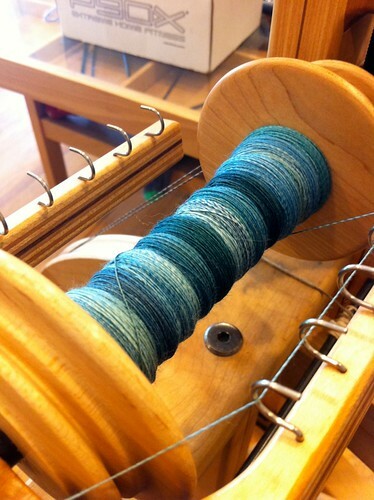 thread about letting singles and plied yarn rest for 24 hours. thank you to Gigi for mentioning the CreativeMother podcast in German. As a former 'fluent' German speaker who was becoming intimately acquainted with 'use it or lose it', this podcast is a wonderful way to immerse again in German on a topic near to my heart. It's easier to infer the words I can't remember when the topic is something I'm familiar with. Enjoy your break! you deserve it! I was also completely thrilled to hear CreativeMother mentioned as well. As far as I know, it's the only German language podcast around anymore about knitting. So sad! Don't forget she's also got a long episode out in English as well and intends to do one every 10 shows. Wow! I can't believe that you listen to so many shows! What an extensive list of podcasts. The link to CraftLit is outdated. This is the new one.